Why Is Dustin McDaniel Ignoring Court Orders On Settlement Funds? 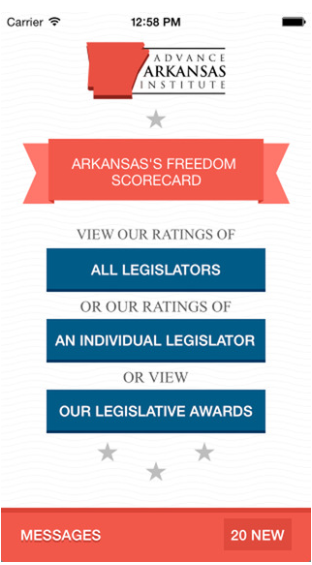 Arkansas Attorney General Dustin McDaniel’s self-serving, politicized use of government funds has been blasted by liberal columnists and conservative lawmakers. I’ve written about it on this site. How has McDaniel responded to the criticism? 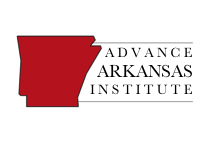 He doubled down: he continues handing out taxpayer money to favored groups, while continuing to misrepresent his duties as a trustee of the people of Arkansas. Rarely have so many indefensible sentiments been packed into so few words. McDaniel’s justifications are both legally and morally insupportable. When McDaniel’s behavior in this area is criticized, he defends himself on the grounds that he is only following court orders. This defense fails. Here’s the court order (opens in PDF file—LINK CORRECTED) McDaniel referred to: it doesn’t tell him to “find a good purpose for the money” or to send it to a private charitable foundation. It is just a bit more specific than that. If you can find language in there that justifies the use of settlement monies to expand the State Police’s firing range, you are a sharper interpreter of court orders than I am. One conclusion you might draw is that all of our state’s problems in consumer protection, environmental issues, utility regulation, and antitrust matters have been solved, and that Dustin McDaniel is therefore justified in spending settlement money to meet the secondary needs of the State Police more generally. But a better conclusion is probably just that, when it comes to taxpayer money, McDaniel is a faithless and unreliable trustee. McDaniel’s sloganeering also should set off alarm bells for anyone who believes in self-government. Who could disagree that – as McDaniel says – any money from litigation should go to benefit the people, rather than filling “budget holes” for legislators? But McDaniel’s rhetoric has the smell of a false distinction. Here, in contrast, is a correct distinction: One very relevant difference between the spending engineered by the state legislature and the spending engineered by McDaniel is that there’s an extensive set of constraints, including public review and regular audit scrutiny, on legislative spending. In contrast, the process involved in when McDaniel spends settlement money is essentially unconstrained. Here’s an example of what McDaniel dismissed as “budget holes for legislators.” You may recall what the Arkansas Democrat-Gazette called a “blamefest” in June: the debate over who was responsible for the looming cut of $275,000 in aid to foster parents of disabled kids. Gov. Mike Beebe blamed legislators who advocated tax cuts. Some legislators blamed the governor, other legislators blamed the agency that made the decisions about where the cuts would fall, and other legislators said nobody was responsible at all. House Republican Leader John Burris, to his credit, said that “we’re all equally responsible.” I don’t know if that is completely correct, but it at least has the virtue of accepting some responsibility. There is certainly more than enough responsibility to go around, and some of it has to rest with our Attorney General, who is content to suggest that the $275,000 shortfall to foster parents is just a “budget hole” for legislators, but an unauthorized, unappropriated and unscrutinized $700,000 gift to the State Police’s foundation is something that, in contrast, benefits the people. The state budget process is long, tedious, and complex. One of the reasons for that is that the multiple layers of scrutiny it contains are supposed to set spending priorities and deter special interests from capturing the process. In part, the idea is that this procedure will partially compensate for the problem that, say, the State Police are better organized to lobby than foster parents of disabled kids will ever be. I suspect Dustin McDaniel understands these issues very well, that he has decided to ignore them, and that his abuses will persist until the legislature takes responsibility for the taxpayer money he continues to gleefully spend. Somewhat Related: Tobacco Settlement Funds have a commission to oversee them. Most of the funds go to little groups who hand out Pamphlets. However, if you have Emphysema from smoking, the Tobacco Settlement will not pay for your Oxygen Bottle. That comes from Medicaid. Dustin plans to run for next highest office when Mike Bebee is gone…. It will not work. Dustin will never make it! It is all a political game to him. It is the reason why the United States is in the situataion it is today.